Reaction to the timeline of Facebook has been mixed. While some loved it, others hated it. Business owners, however, were quick to figure out how to use the Facebook timeline to their advantage. If you want to know about these interesting strategies that would allow you to promote your company, read on. You can use the Facebook timeline for incorporating intriguing milestones in your company profile. This is especially applicable if your company has a rich history. That way, you can show how your company and its products/services updated themselves with time. In case your company is a new one, you can still highlight recent events, such as launch of your company or launch of a particular product in a creative manner. It is a known fact that pictures have gotten bigger in the timeline. This means that you can take advantage of the pictures to tell a story and retain interest of the target audience in your company. You can even use the highlight feature to bring into attention more pictures. Remember that telling a story via pictures, rather than boring chunks of text is always more interesting and effective. To make people understand activities of your company, including good information in the ‘About’ section is critical. Many companies avoid adding any new information in this section, because they are probably unaware how to edit this information. If you want to edit the ‘About’ section, click on the About link. Now, keep on moving the mouse near the About section (focus on upper-right hand corner of the page). Continue doing this, until you can view the Edit button. Click on this button and you would be able to see the older-style dashboard page. Now, add information to the ‘About’ section. Remember that you can include a call-to-action statement and your company link in the About section. However, you can incorporate only 160 characters in this section. Therefore, make sure that you are not cut off mid-sentence, thus making the ‘About’ section appear incomplete. Facebook timeline allows users to upload a huge cover photo. For creating a good impression, upload images that are associated with the services you offer. This way, you can create an overwhelming impression on your target audience. Apps have become more prominent in the new timeline. The Facebook Photos app highlights the latest photos. The next few apps in the row will be most prominent. Therefore, placing the most interesting apps in the first row can be a great idea. For best results, brand the apps. You can even include a powerful call-to-action in the apps. You can add apps to your timeline profile in the way you added apps in the earlier version of Facebook profile. 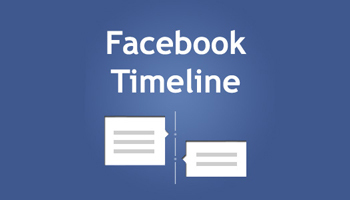 We highlighted few tricks that you can consider for using the Facebook timeline to your advantage. Implement them and watch your business soar! favorites have always been the BMW cars. © 2019 Folk Media. All rights reserved. Theme by Solostream.